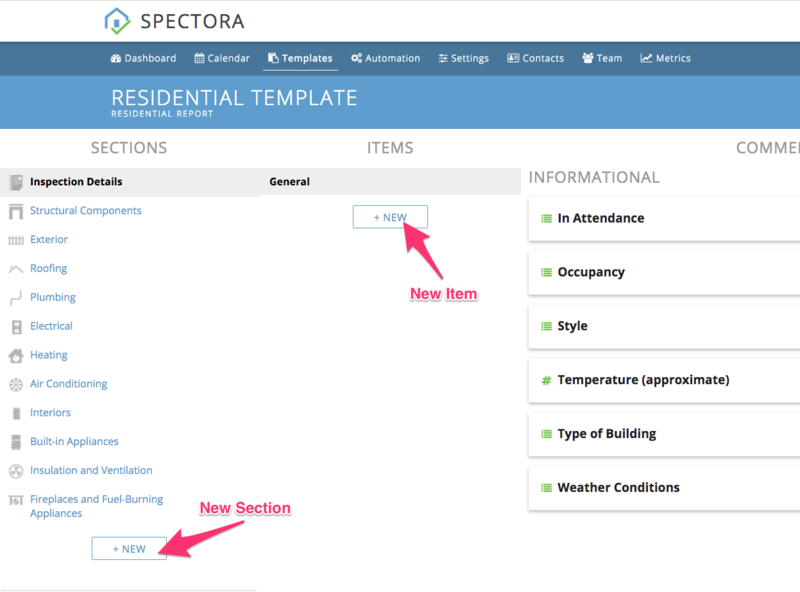 Add optional sections and items to keep your template streamlined yet ready for anything. Here's how. 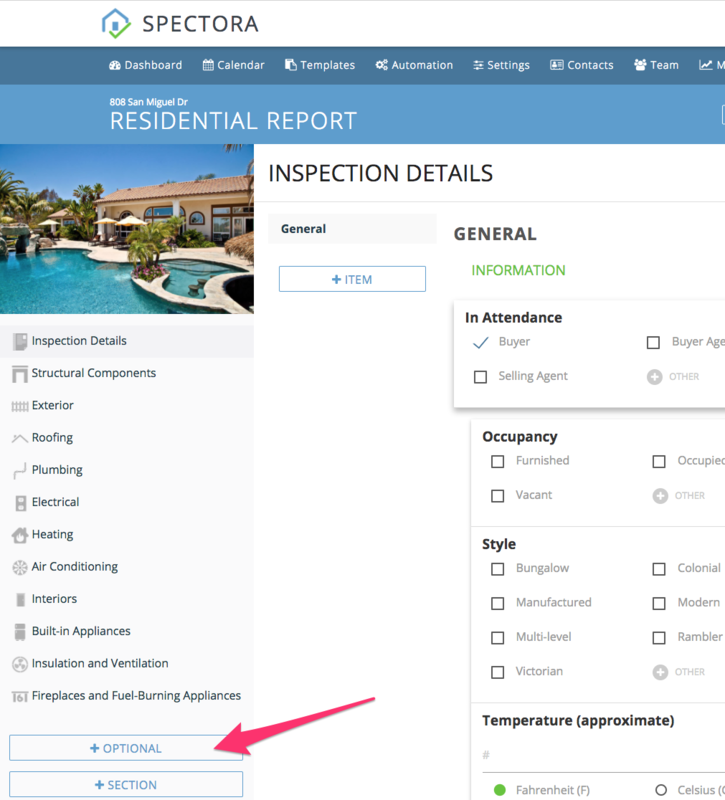 Optional sections and items are not included by default when your reports builds from the template, but rather are added on a per-inspection basis. 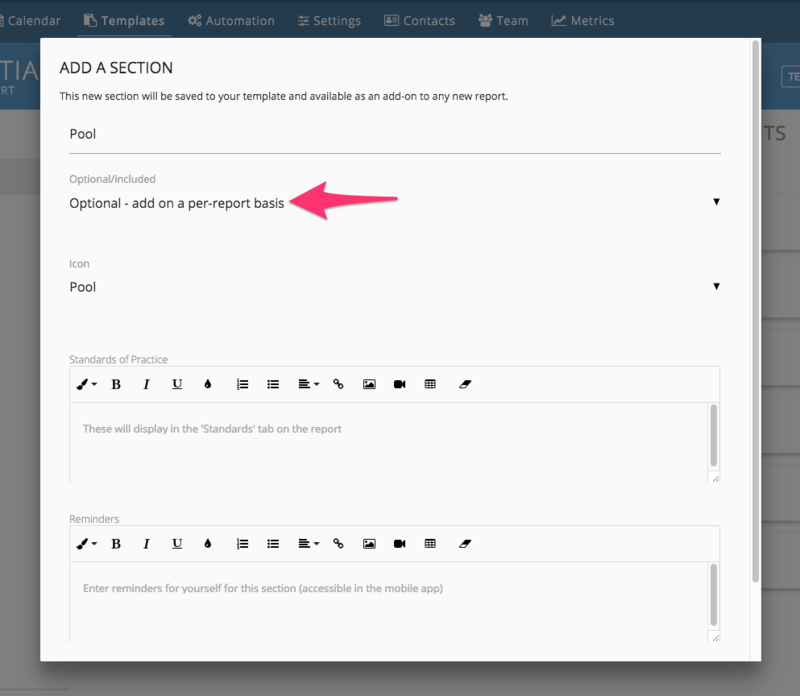 This allows you to build out templated comments that are ready without crowding your report. For example, in many areas a pool is not common. However, it is occasionally encountered. 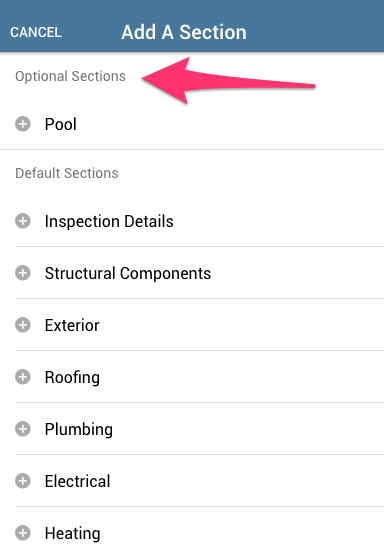 In your template, you can build a Pool section that is optional. When you encounter a pool, you add it in and have access to all your prebuilt pool comments! 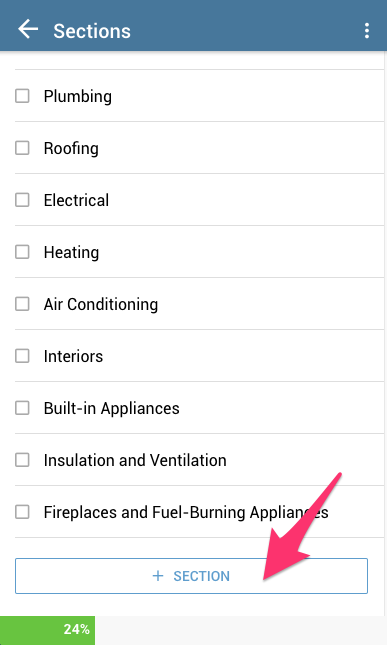 Select your section/item and you're all set!